Hundreds of Medical Students and Physicians have come to the West End Women's Medical Group office to learn the latest abortion techniques. We know that you know that whatever the procedure, patients deserve access to the latest tested and proven procedures, techniques and medications. They also deserve to experience a minimum amount of discomfort while being cared for in safe and comfortable surroundings. The procedures outlined in Surgical Abortion©, can be easily learned and, with experience, can substantially improve patient comfort while reducing the risk of complications. Though not every office will be able to provide the ideal setting for patients, every provider can be aware of the latest and most successful techniques. 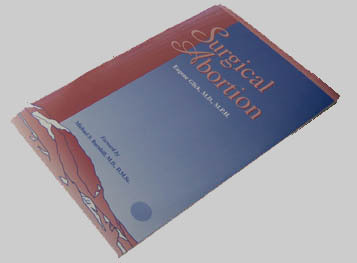 By studying the techniques in Surgical Abortion©, in most cases, the abortion procedure can be significantly improved from current standards, providing an improved experience for both the physician and the patient. This transformation occurs through simplified, yet elegant, technique and the deliberate careful use of proper medications in the right place at the right time. At the West End Women's Group, we believe the first and most important step along the road to a successful medical practice is uncompromising and compassionate patient care delivered by skilled experts. That means that every person who's actions affect the patient must be highly trained to continuously work with the best possible patient care in mind. When it comes to the physician, he or she can often significantly improve patient care and his or her own performance by learning the latest and safest procedures as outlined in Surgical Abortion©.